Here we will look at tips for choosing mower models and performance so you know how to buy the best lawn mower for your needs. Having a great looking lawn gives many people a sense of deep satisfaction. They spend hours every week cutting the grass, edging around the lawn, caring for flowers and more. They consider their lawn an extension of their home and treat it like a masterpiece to be carefully displayed. Others, however, view a lawn as just one more thing to take care of. They just want to get outside, get the job done and cross that off the to-do list. Whichever way you feel about lawn work, there are a few tips and tools that can help you have a great looking lawn with the least amount of fuss. Even if you don’t mind the fuss, by using the best lawn mower for your needs, you’ll free up time to move on to other indoor or outdoor homeowner projects. Treating your lawn well does more than give your home curbside appeal. A great looking lawn can also keep many pests, both plant and insect, from making a home in your grass. A yard that’s well tended is a barrier against erosion, too. The right lawn mower isn’t necessary just to cut the grass. 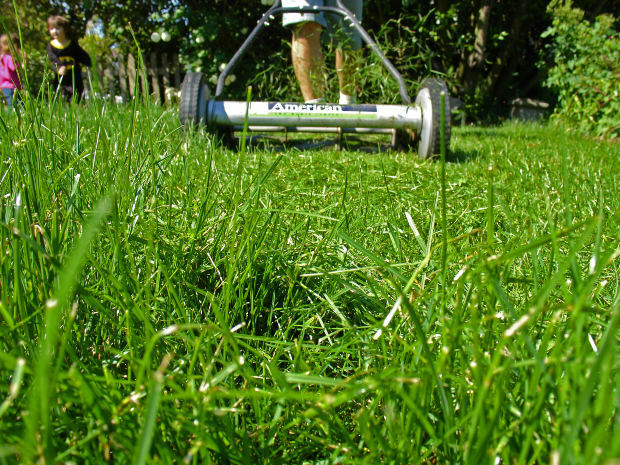 Without the right lawn mower, your grass can become unhealthy and unsightly. Since you have to spend time taking care of it anyway, you might as well treat your lawn to the best. There is a relationship that takes place between a mower and a yard. Not every mower is suitable for every yard. You can choose from a self propelled mower, a reel mower, a riding lawn mower, an electric mower or, if you have plenty of money to spend on a mower, you can even get a robot mower that will mow the grass for you. While there are as many different styles of lawns as there are mowers, not every mower on the market will be suited for your lawn. 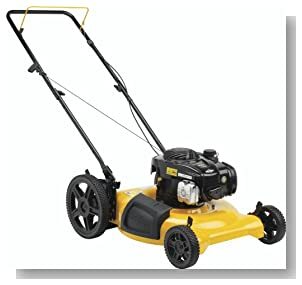 For example, if you have a small lawn, you certainly wouldn’t want to pay for a huge riding lawn mower because you wouldn’t have the room to maneuver something as large as a riding one. 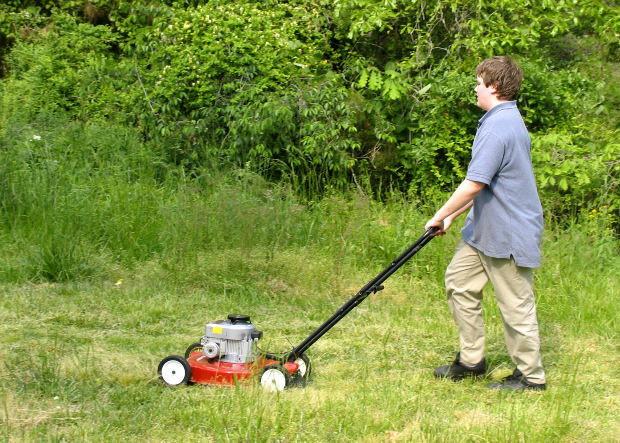 If your lawn is fairly small to medium sized, then you’ll want to buy a lawn mower that you can push. These mowers are fairly inexpensive and easy to maintain. You don’t need as much horsepower in a mower that’s used for a small to medium sized lawns, either. You’ll want to consider the size of the mower’s width. The wider the mower, the larger span you can have on the blades, which shortens the amount of time spent cutting the grass. Before you pick out a mower, you should do a yard check. Take stock of the surface area of your lawn. Pay attention to whether your lawn is rough or has a fairly even grass surface. Next, note if your lawn is mostly in the sun or if it’s shaded or if that’s a mixture. If the lawn area has a lot of shade, does the lawn that’s covered by shade consist of thicker grass? Look at the landscaping of your lawn. Are there a lot of bushes you’re going to have to mow around? Do you have a lot of flowerbeds? And what do you have around those flower beds? What kinds of decorations are on your lawn? Do you have landscape lights along your walkways? If you have a lot of things on your lawn that you’re going to have to move your lawnmower around, you’re going to want one that will get you close to the decorations as possible so that you don’t have to go back over as many spots with a weedeater. Is your lawn flat or elevated in places? All of these things will factor in to the type of lawnmower that you should choose. A lawn that’s fairly smooth and flat would be easy to take care of with a regular push mower. But a lawn that’s uneven or at a slant would be better mowed using a self propelled mower so that you’re not struggling to push the machine. Some people prefer to mow their grass on a regular schedule, such as once weekly - while others prefer a schedule of once every other week. Some people don’t schedule lawn maintenance at all - they just mow the grass whenever it starts looking too long. If you mow your grass every week, you have to be careful not to mow it down too short. Not only can you cause soil erosion from mowing too short, but you can cause your grass to die and your lawn to get brown patches. One sign that you’re not mowing your grass correctly is if you notice after you’re done mowing that there are lumps of grass clippings left in the mower’s wake. This means that your grass was left too long. Another sign of improper mowing is a lot of weeds in the grass. Some people think weeds are a sign that a lawn isn’t being mowed often enough but it’s actually a sign that you’re cutting your grass too short. The best rule for cutting grass is to never cut the grass shorter than two inches. It’s better to leave grass at three inches, but some people don’t like the grass at that height. 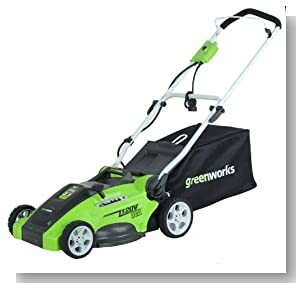 If your grass is fast growing and you don’t get around to mowing it as often as it needs it, that can make a difference in the type of mower that you should use - because not all mowers can handle grass that’s taller. It will bog the mower down, make it shut off often and put a lot of wear on the motor. Another mowing habit to consider is whether or not you mow your grass when it’s completely dry. You should not mow your grass when it’s wet because it’s not good for your grass - you’ll get an uneven cut - but it’s also not good for your mower. Wet grass causes mowers to shut off and it can clump to the underside as well as clog mowers, too. If you’re using a bag mower, wet grass is heavy and difficult to remove from the bag. To look at how differently mowers cut grass, all you have to do is take a drive through a random neighborhood. You’ll find grass that looks like a herd of goats set upon it because the grass looks choppy - high in some places and low in others. You’ll see lawns that look like they have more clippings than grass. Then you’ll see other lawns that look like the grass was given an ugly flattop, while other lawns look in high need of a decent mower. How your lawn looks depends on both you and your mower. 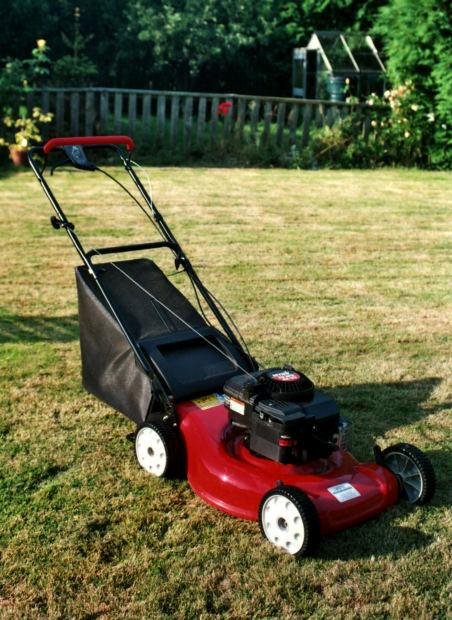 You can take care of the length of the grass simply by adjusting the height of your mower to a set level. But if you notice a consistent performance that’s not what you want, it could be that you have the wrong mower for your grass. For your grass to look even, you have to have a mower that can handle the terrain of your lawn. 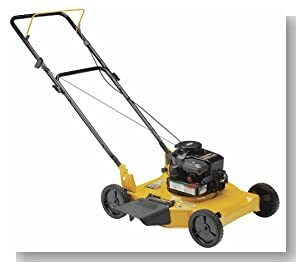 For example, if you have a sloped lawn, if you struggle to push a mower up the slope, this can result in uneven grass, which is why it’s always better to use self-propelled mowers for yards that are not flat. Some people automatically assume that the more power a lawn mower has, the better job it will do at cutting the grass. Surprisingly, how much power a lawn mower has is not the number one factor you should look at when choosing a mower. The power of the motor is simply what allows the mower to work. It won’t do you any good to have a mower that’s powerful if it does a terrible job of cutting the grass and your grass ends up looking uneven. How your lawn mower does the job of cutting your grass is always the most important factor. 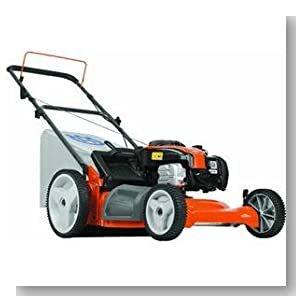 The cutting ability of a mower is determined by the deck and also by the type of mower you have - as well as what kind of condition the blades are in. If you have a good new mower that’s suited for your lawn, cutting performance isn’t usually an issue - but as time goes on, you might start to notice that the grass looks ragged after it’s been cut. Most people don’t realize that dull or ineffectual mowing blades can actually cause damage to the grass. It’s the same concept as getting a haircut with a dull pair of scissors. All a dull blade is doing is tugging on the grass and making haphazard cuts rather than slicing it off neatly and evenly. 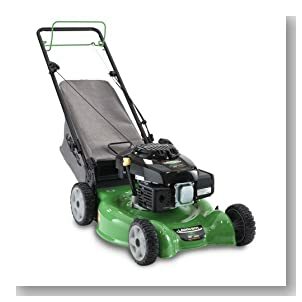 If you notice grass blades that aren’t cut all the way through or grass blades that bend rather than get cut, the cutting performance of the lawn mower is the cause and not the power of the machine. What Will Your Mower Do With the Cuttings? What happens to the clippings as you mow obviously depends on the type of mower that you have. 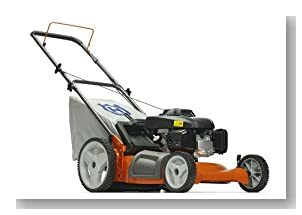 Some people choose to use mowers that are all in one models, so that once the yard is mowed, there aren’t any clippings. Or they prefer to use a bag mower, simply because they plan to use the clippings in compost piles. There are several different bag mowers you can choose from and the one you select should be based on your yard type and how often you mow your grass. Mowers that use side discharge for the clippings work well for some lawns as long as the discharge isn’t slanted down, because you don’t want to mow the grass only to turn around and have to rake it when you’re done. 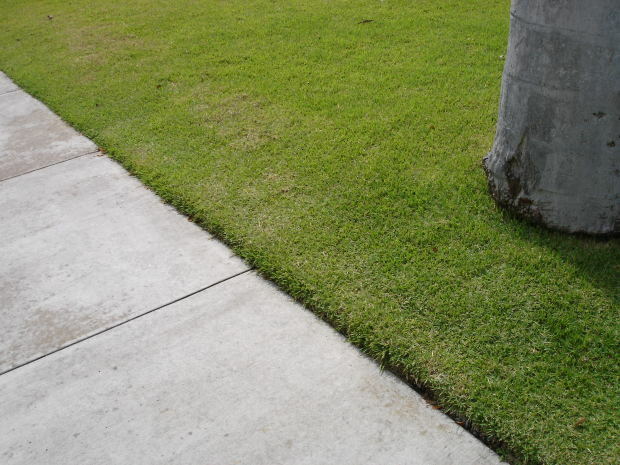 Clippings that are left on the ground, especially clippings that are too thick, promote plant and grass disease that can quickly overtake a lawn. If you leave clippings and look over your lawn after moving the clippings, you might notice yellow patches where these clippings were. That’s a sign that the grass was deprived of sun. And even though some clippings are useful, an over-abundance of clippings put out by a mower is not - unless of course, they’re mulched. Most regular mowers simply leave the clippings on the ground, but you have to look at two factors when deciding if this is the type of mower you want. First, if you’re mowing your grass less often and the grass gets kind of tall, then it will cause your mower to become clogged. Of course, that in turn affects how your mower performs. If you’ve chosen a bag mower to deal with your cuttings, then you should know that bag mowers aren’t supposed to leave any sign of the clippings. You should not have to deal with patches of clippings or go behind and rake at all. When you’re looking at the various lawn mowers with bags, you’ll see that they range in size to include small, medium and large. 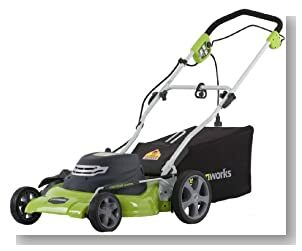 You’ll want to get the mower that has a bag capable of holding a vast amount - because otherwise, you’ll be spending a whole lot of time doing repeated emptying of the bag. Some mowers with bags also offer a versatile choice. You can choose to have side discharge, mulching or a roomy bag, too. Mowing the grass is something that has to be done - but that doesn’t mean that it has to be an uncomfortable job. If you’ve ever mowed a large yard, then you know how easy it is to get blisters on your hands when you grip an uncomfortable mower handle. So one feature you want to look at is a mower that has a comfortable grip. But you want to pay attention to the mower’s safety features. One of the most common causes of injuries in push mowers is slipping and falling because of yard incline, damp grass or stumbling over a tree root. The lever on the handle of the mowers is designed to be a safety feature. Once that lever is released, the mower will automatically shut off which means the sharp blade stops turning. Some models have a blade clutch, which will shut down the blade but will allow the mower to keep running. Another safety feature is longer handles on mowers. Riding lawn mowers are made now so that they can’t operate if you put the machine in reverse. Putting it in reverse will shut down the blades. These types of mowers are also made with a safety mode that engages if the person mowing the grass leaves the mower. The safety mechanism will shut down the engine. Some riding lawn mowers have a rollover protective structure. Coupled with a seat restraint, this feature is designed to prevent serious injury or death in the event of a rollover. A feature that you’ll want in a mower is rear wheel drive. This is a feature that makes a push mower easier to operate because they grip better and the rear wheel power takes the load off of you. Mowers with rear wheel drive are great for lawns that are sloped or that are hilly. If you’ve ever pulled on a recoil rope to get a mower started, then you know how that can be an exercise in frustration sometimes - not to mention how it can strain your shoulder. Mowers with a key startup turn on with a simple flick of the wrist - and you don’t have to push a button to prime with a key startup, either. Another feature you will like is a wash out port. This lets users wash out debris from under the mowing deck instead of having to clean it by hand. It keeps your mower free from debris for optimal performance. Finally, you’ll want to figure the cost of the lawn mower against the performance you’re going to get from the machine. You’ll also want to look at the cost of maintenance when considering the mower you choose. The size of the lawn needing mowing will determine whether or not it’s more cost effective to get a push mower or a riding lawn mower. A push mower is obviously less expensive than a riding mower, but you have to figure the cost in terms of how much time it takes you to get the job done as to whether or not the riding mower would be more of a benefit. 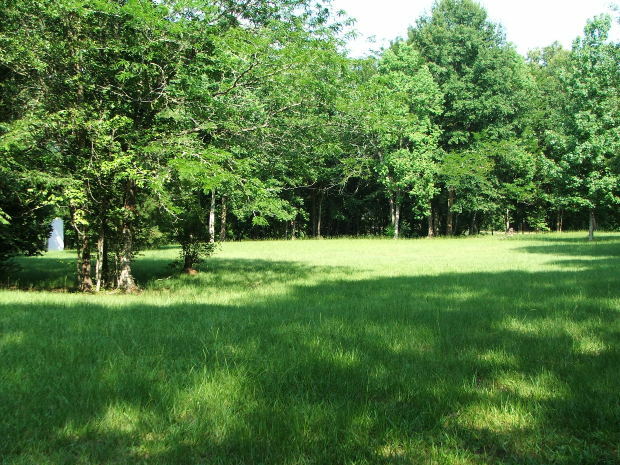 If you have a large yard or a lot of acreage, you’ll want a riding lawn mower. Take each of the different types of mowers - the self propelled, the reel, electric, bag, etc., and compare the features they offer (that would be beneficial to you) against the cost of the machine. 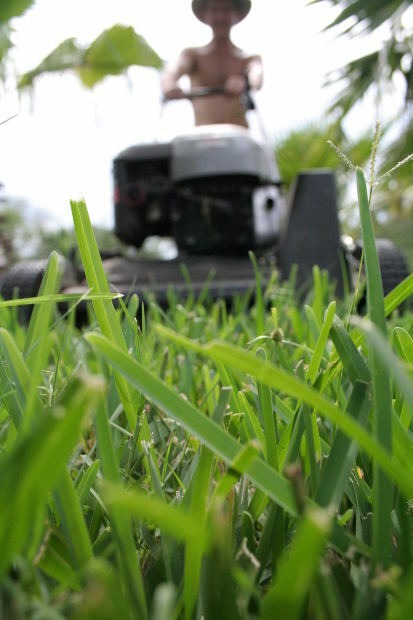 Take into consideration how often you mow the grass and how much extra time you want to spend on yard maintenance. 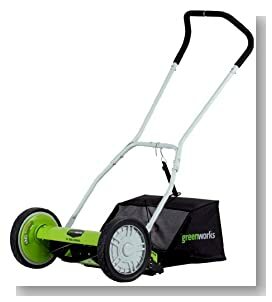 For example, if you hate to rake up clippings, then obviously, you’ll want a bag mower. Also look at how well the mower makes the lawn look, how easy it is to maneuver the machine and the durability of the mower. 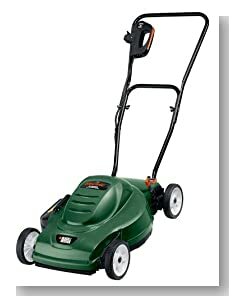 I hope that you found some useful tips here when working out how to buy the best lawn mower. 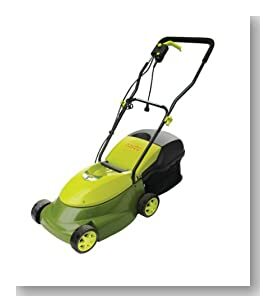 There is a selection here of some of the best lawn mower brands that are available to buy online and get conveniently home delivered. You can also check out their customer reviews when you click the links to them, and that is a great way to find out what other buyers think of this choice. Below here I'm featuring more pages with helpful how-to-do-it tips on how to buy the best lawn mower. 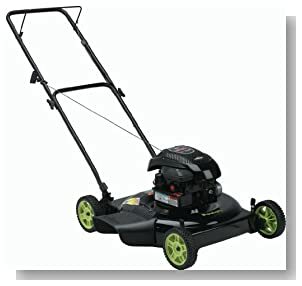 There are over 20 different lawn mower reviews here, so check them out if there is a model you are already interested in knowing more about. 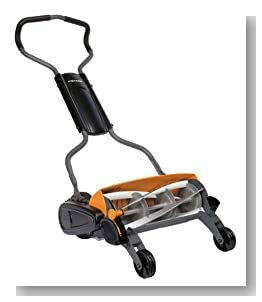 Back to HOME PAGE of this how to buy the best lawn mower section of the site.